Puschkinia are a little known spring bulb, however, it is one of the easiest to grow and is very reliable. They produce dainty white flowers with a blue blush that forms a stripe effect on the petals. 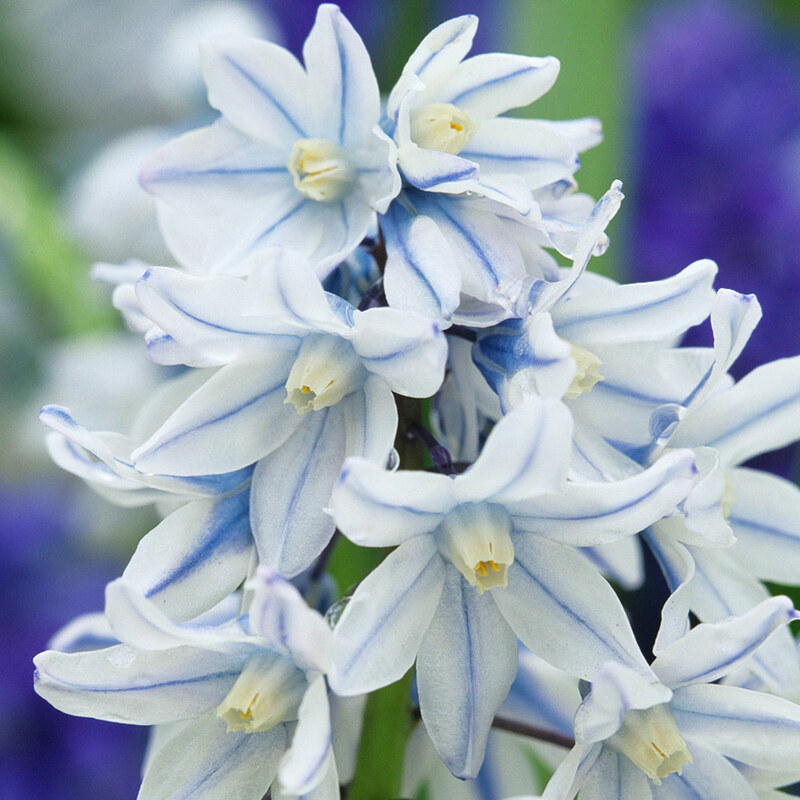 This hardy bulb will naturalise and multiply like snowdrops producing a carpet of colour in March and April after the snowdrops have flowered, but before the bluebells. 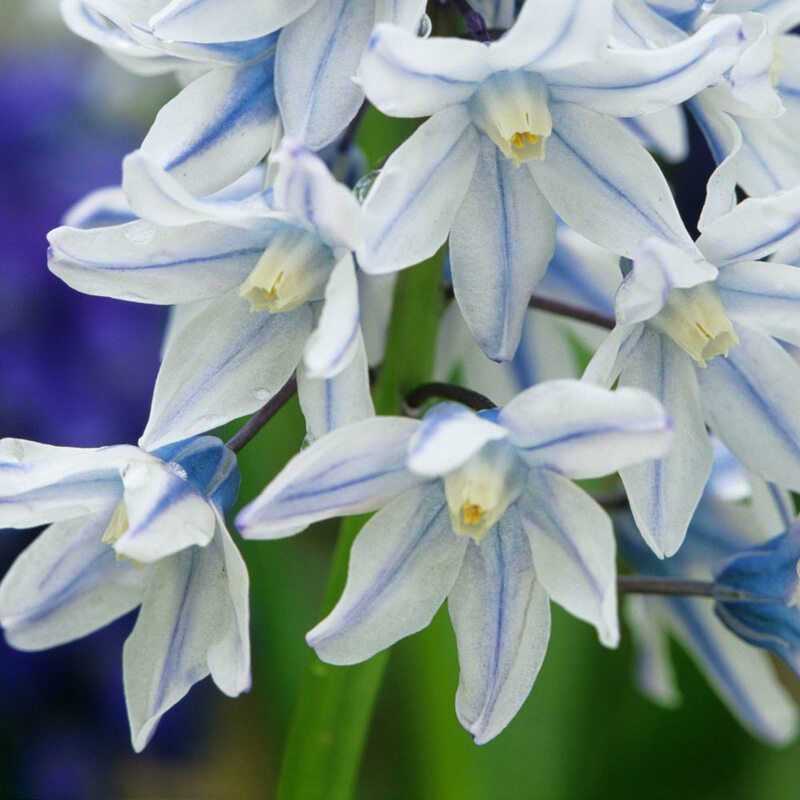 This fabulous pretty flower holds the prestigious Award of Garden Merit. Height 15cm. 4/5cm bulbs supplied. Planting Plant approx 10cm deep and approx 5-8cm apart. Plant approx 10cm deep and approx 5-8cm apart. Plant in any fertile, well drained soil at approx 10cm deep.